Ship an automobile to Swaziland with A1 Overseas International! Call 1-800-450-5319 or fill out the form for a FREE quote and more info! The act of transporting a vehicle to another country, especially overseas is an especially delicate process. The job is one that should be handled by those with experience and a great reputation. Not only is it necessary to own all of the right equipment, but it is equally important to understand auto import policies. Anyone working for a reputable auto transport company will have this experience and training. What Can an Auto Transport Company Do for Me? An international auto transport company can do an immense amount of beneficial things for those who purchase services. They’re only goal is to help you fulfill your desire of getting a vehicle into Swaziland. They will protect the vehicle from harm’s way during the entire vehicle shipping process. They will use the latest equipment, freights and tools to handle the shipping process. The auto shipping company will provide their customers with a variety of services. This allows customers to customize their transport. Their insurance policy will offer further protection to the vehicle’s integrity. Their experience, training and knowledge of auto import policies and foreign transport is extremely helpful throughout the process. You will have assistance and guidance every step of the way. Their services are very cost effective. 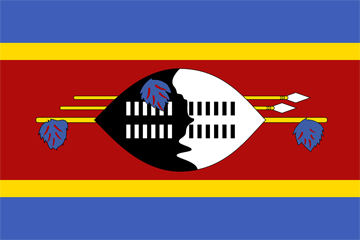 Before setting up a transport date for the vehicle to be shipped, contact the Embassy of Swaziland for the most up to date information on their foreign auto import and export policies. Preparing for the vehicle to gain Customs’ approval is perhaps the most crucial part of the entire international transport. Call us at 1-800-450-5319 or fill out the form for more info and a FREE price quote on boat, motorcycle and car shipping!